For years Kozier & Erb’s Fundamentals of Nursing has been the gold standard in helping students embarking on their nursing careers. This first Australian edition retains many of the features that have made this textbook the number-one choice of nursing students and lecturers. To further enhance this popular fundamentals textbook and ensure its appropriate application for Australian students, nursing academics from across Australia were invited to review and comment on each of the 52 chapters. 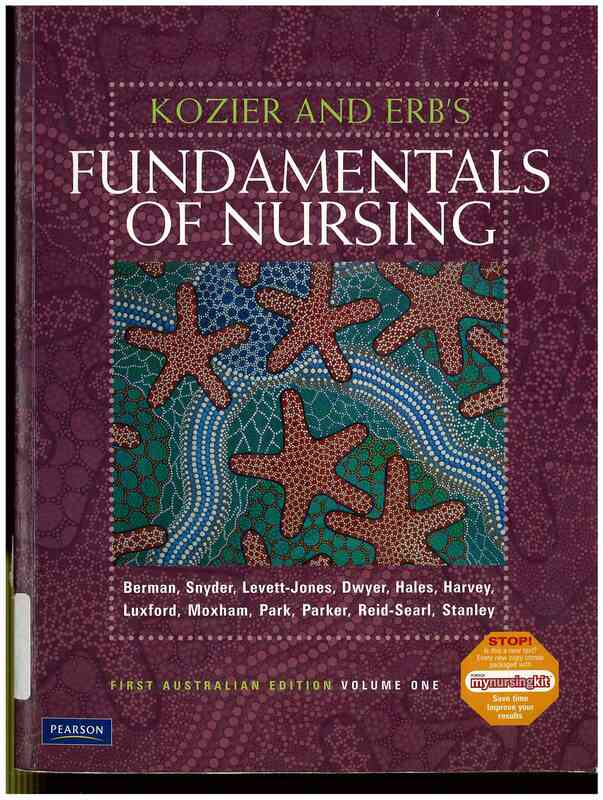 Their detailed feedback has ensured that Kozier & Erb’s Fundamentals of Nursing: First Australian Edition is a current, engaging and uniquely Australian textbook that will help students succeed in their nursing studies. 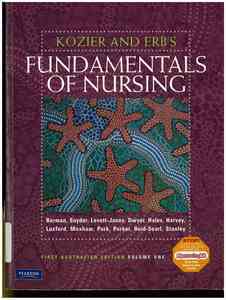 Kozier and Erb’s Fundamentals of Nursing, First Australian Edition presents the fundamentals of nursing care within the framework of the nursing process. This text offers an accessible writing style; a focus on practical application with real-world Australian examples and case studies; appropriate Australian terminology, policies and procedures, Australian visuals; an integrated approach to Australian Indigenous health issues; and up-to-date references, research and codes of practice, with reference to ANMC guidelines. The text is supported by a state-of-the art technology package to enhance the learning process. Chapter 18: This chapter aims to provide a beginning understanding of culture and nursing with the following philosophical belief. 'If we take the time to develop enough trust to learn from each other how not to be Binan Goonj - that is, 'hearing but not listening' - we can arrive at a shared understanding of how best to communicate' (Eckermann, Dowd, Chong, Nixon, Gray & Johnson 2006, p. 104). Aboriginal and Tones Strait Islander peoples have specific mention in this chapter as they are the first peoples of this country and because of the significant disparities in health outcomes for Indigenous Australians.